Join us for a weekend retreat on beautiful private property in Fairfax for a two-day deep dive into true nature. Through dialogues, meditation, and dyadic inquiry we will explore what it means to experientially take refuge in not knowing, and to allow attention to fall into the heart and the ground. We will also enjoy the 50 acres of ridgetop land, with glorious views of Mount Tam and the surrounding area, with many trails for walking and savoring the spring wildflowers. Weather permitting, meetings will be held outdoors in a shaded oak grove. Otherwise, we will meet inside. 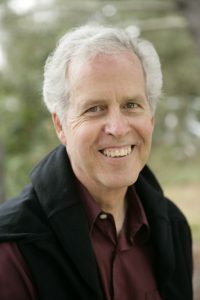 John is a spiritual teacher, psychotherapist and retired adjunct professor of psychology at CIIS, known for his pioneering work in integrating nondual wisdom and psychotherapy. 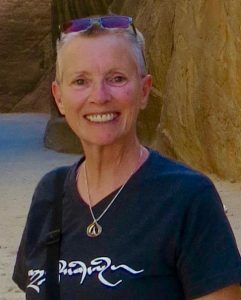 A long-time student of both Jean Klein and Adyashanti, he was asked to share the dharma by Dorothy Hunt. John brings a depth of experience, insight, warmth, and compassion to his teaching work, and is especially skillful in guided meditative inquiries and one-on-one dialogues. He is the author of In Touch (Sounds True, 2015) and a forthcoming new book called The Deep Heart: Our Portal to Presence (Sounds True, Nov. 2019). He offers quarterly daylong intensives in the Bay Area, and residential retreats and seminars around the U.S.
"Once we get over the initial shock, it is a huge relief to see and feel that we are not who, where, or when we have taken our self to be. The truth is that we don’t know and can’t know any of this – at least not with our ordinary strategic, goal-oriented mind. We discover that we can rest in not knowing. This is not the same as being ignorant. We are not ignoring anything. In fact, we are facing an important truth – the limits of the conditioned mind. There is a great deal in life that we don’t know, can’t know, and perhaps most importantly, don’t need to know. This insight frees attention to move from its temporary residence in the forehead to the depths of the heart area. Acknowledging that we don’t know, opens us to a different type of knowing." A light organic vegetarian lunch, and tea and cookies at tea time, will be provided free of charge, or you may bring your own food, or head out for lunch at Good Earth Natural Foods or a number of local restaurants. It is expected that most attendees will commute; however, limited shared dormitory-style accommodation is available if you want to spend the night. Pre-registration is required, as attendance is limited to 30 people. For more information or to register, email robmschwartz@yahoo.com. Directions and logistical details will be provided upon registration.